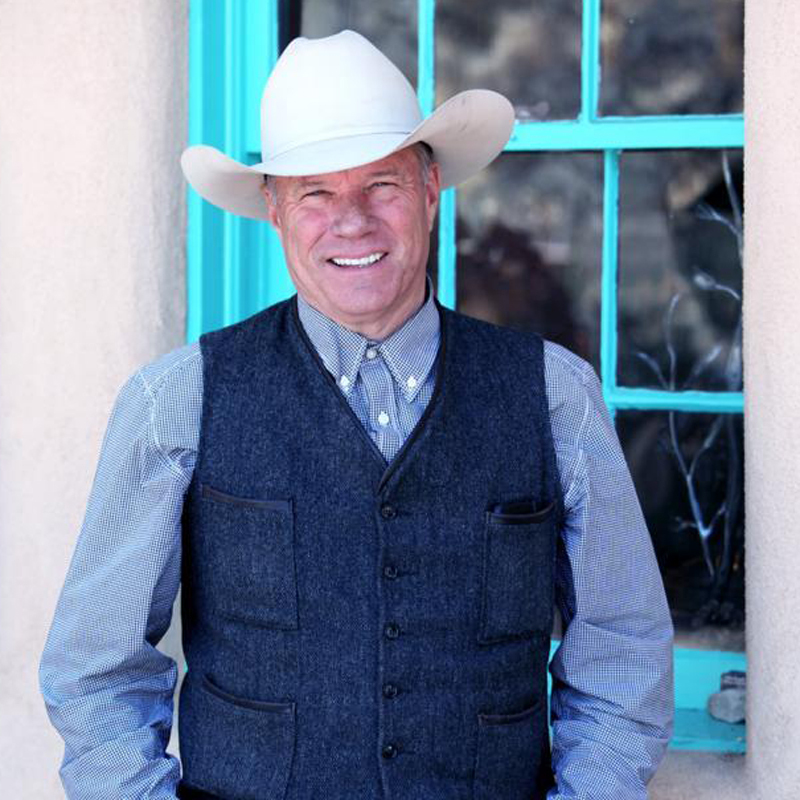 Michael Henington was born and raised on a ranch in Southern New Mexico, and has enjoyed an exciting journey from his cowboy roots to a career as a professional rodeo producer and television personality. Along the way he realized his deep passion for the arts could no longer remain on the back burner of his life. He first immersed himself in the fine art business by taking on the role as Director of some of the most respected galleries across the Southwest. Spending most of his time with inspiring artists and collectors who appreciated and supported them, his yearning to unleash his own creative talent soon emerged. He began studying process and technique with his friend and acclaimed sculptor Star Liana York. While absorbing the influence of varied aesthetics, Michael soon created a style uniquely his own. For Michael, living in Santa Fe, and being surrounded by its international marketplace for fine art, keeps him inspired and energized. When in his studio, he finds “the actual creation, the actual process of making it all come together as the most exciting.” Recognizing that people make personal connections with artwork, Michael strives to capture the essence of his subject matter’s individual personalities. Watching people make those connections with a finished piece, seeing it add a little happiness to their world, “it’s so rewarding, it’s everlasting.” Best known for his pig sculptures, he often refers to himself as the “Connoisseur of Fine Swine.” With many of his pigs, he finishes by brightly polishing and sealing the nose, as it is commonly believed that to rub a pig’s snout will bring good luck.